Montserrat continues to attract small and medium-sized cruise vessels that are seeking unique locations notÂ typically accessible to large cruise ships. The Montserrat Tourism Division announced Tuesday thatÂ upcoming 2017/2018 season, will see an increase in the number of cruise visits in comparison to 2016/17. 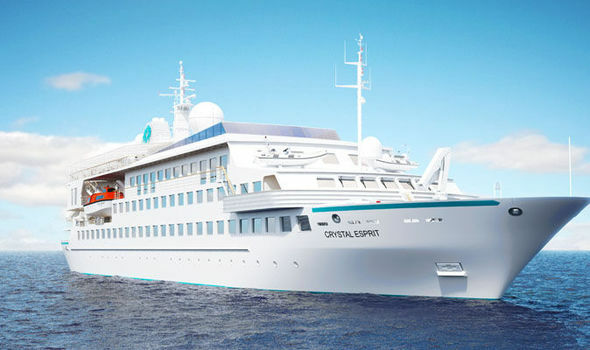 Vessels such as Windstarâ€™s, MV Star Legend and Wind Surf have again included the island on their itinerary as well as new calls from Crystal Cruisesâ€™, MV Crystal Esprit scheduled to debut in December 2017. Montserrat will also see the return of Sea Cloudâ€™s, MV Sea Cloud II to its shores in early 2018. Passengers aboard the vessels are being sold packages to visit the Cultural Centre (built from funds raised by former-Beatles producer Sir George Martin), the National Trust, the Montserrat Volcano Observatory, Jack Boy Hill, Garibaldi Hill and the star attraction, the modern-day Pompeii, Plymouth. Other packages will include: hiking tours, diving tours and boat tours along the coast of the island to view the former Capital, Plymouth. The Montserrat Tourism Division is delighted to welcome the vessels to the island for shore excursions and the opportunity to reaffirm to the cruise industry that Montserrat is still open for business and has the capability of catering to visits by small and medium-sized cruise vessels desirous of a uniquely authentic Caribbean experience.